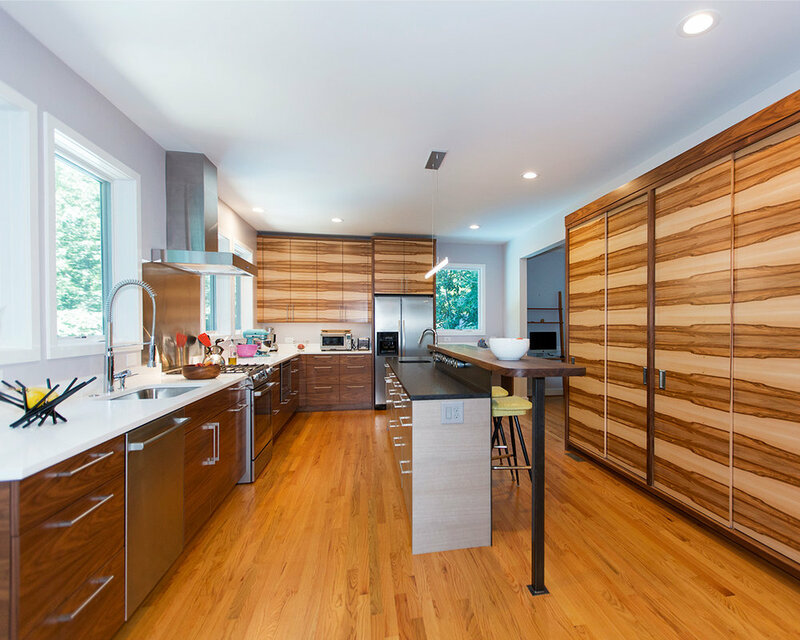 OPEN PLAN KITCHEN — TRIPLE AUGHT DESIGN + BUILD. By removing several walls, we designed an open plan kitchen, dining, and den all in one large space. We used a combination of wood veneers: walnut, gum, and koto for the cabinetry to balance the overall palette of warm and cool tones. The island features a 1/4” thick sheet of steel by Leo Gaev Metalworks, to create a backsplash for the sink side as well as structure to support the walnut bar top & koto base cabinets.